The cost of converting money through the bank is up to 5% of the transaction amount. XKANTOR.COM is up to 8 times cheaper and the actual exchange rate is available 24 hours a day. XKANTOR.COM is FinTech and an independent agent of the currency exchange market. 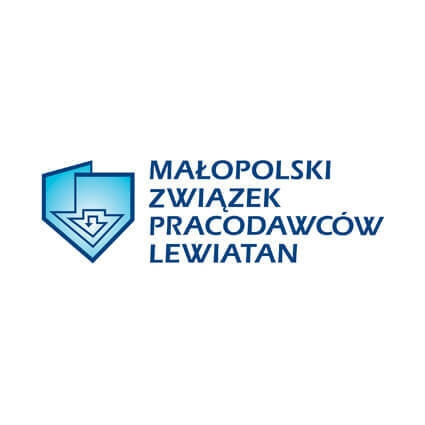 Services provided in accordance with the Code of Financial Market Good Practice recommended by the Polish Financial Supervision Authority (KNF). Transaction security is ensured by SSL encryption and SMS authentication. XKANTOR is recommended by recognized organizations and institutions. We provide the actual exchange rate, i.e. the rate at which we will actually convert your money. Make a quick exchange at the best rate or propose your own terms and wait for offers from other users of the platform. Thousands of satisfied customers have already used our system. Security as in e-banking: SSL encrypted connection and SMS CODES. Simple exchange and withdraw money even in 30 minutes. Our consultants will answer additional questions. Free PLN withdrawals to all banks in Poland. Create an account and exchange currencies in 3 easy steps. Find out more about how to exchange money conveniently. Join our satisfied customers now. Set your login and password. Enter the required user data and then add your accounts. Add money to your wallet by making a transfer from your bank. Select the currency pair and enter the transaction amount. Then confirm the exchange. Select the account to withdraw the funds to. Enter the amount and title of the transfer and confirm your withdrawal with an SMS code. 5 stars awarded by our customers! Check us out on Trustpilot and see the reviews. The exchange rates are really good, when it comes to the processing time - there is nothing to complain about - the money appeared on my account right away. I recommend it! Very cool internet currency exchange. Intuitive, easy-to-use interface. I use xkantor without any problems and strongly recommend it! Mobile currency exchange available from anywhere in the world, 24 hours a day. Soon we will launch the mobile application XKANTOR.COM where you can check the available exchange rates on your smartphone or tablet. Does your company use SAP Business One? From now on, you can exchange currencies directly in SAP using the Dedicated Currency Platform (SAP DCP). Do you process hundreds, maybe thousands of currency transfers each month? Discover the benefits of combining fast currency exchange and bulk payments. Do you plan to process high transaction volumes? Check out our special offer and take advantage of a discount of up to 60%. XKANTOR.COM currency calculator widget for partners. Ask how to join the affiliate program. Creating an account at XKantor.com is a fully automated process which you will complete online in a matter of seconds. This can be done at any time, from anywhere, completely free of charge. All you have to do is register, which is free. You can create a company or individual account. First, you need to visit our website and fill in the registration form correctly Sign up. Then enter your e-mail address and password and click on the “Create an account” button. After that, an activation link, which you need to click to confirm your registration, is automatically sent from XKantor.com to your e-mail address. From the moment of confirmation you have full access to the functionality of XKantor.com. You can manage your account in any way, updating your data, depositing funds, placing currency exchange orders and making withdrawals to a designated account in Poland or abroad. Moreover, if you have or open an account with a bank with which we cooperate, foreign currency transfers will be faster and free of charge! The banks where we have accounts include: Alior Bank (formerly BPH SA), PEKAO SA, BZ WBK (formerly Kredyt bank), PKO BP (formerly Nordea Bank), the mBank Group (BRE Bank, MultiBank, mBank) and Raiffeisen Polbank. Please be informed that within the mBank Group (BRE Bank, MultiBank, mBank) there are fees for bank transfers in the amount of PLN 5 for EUR currency and PLN 10 for currencies: CHF, GBP, USD. How much does it cost to use XKANTOR.COM? Maintenance of the account at XKantor.com is free of charge. Only the transaction is subject to an intermediation commission, which amounts to only 0.2%. The amount of the commission is calculated based on the value of the currency exchange amount. In addition, 0.2% is a maximum fee, depending on the turnover generated during the month, the commission may be lower. Transfers in PLN currency both deposits to XKantor.com and withdrawals are free of charge within all banks. You also pay nothing for foreign currency transfers within the banks integrated with the XKantor.com platform. Outside the affiliate banks, withdrawals cost respectively: EUR - always PLN 5; USD, GBP, RUB and CHF - PLN 9. Please be advised that some banks charge fees for receiving a transfer in foreign currency. A possible fee is charged by a given Bank, which should be checked on the Bank’s website to which you send the transfer. Withdrawal of CHF, EUR, GBP, RUB and USD currencies in banks other than those integrated with XKantor.com, i.e. 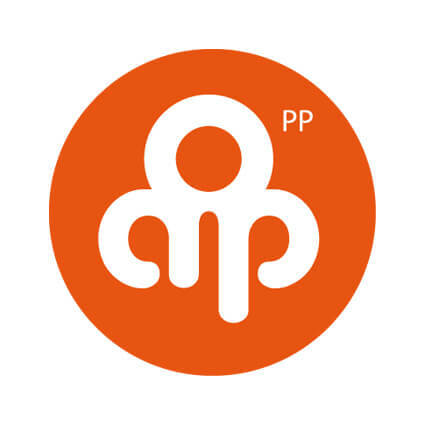 : Alior Bank (including former BPH SA), PEKAO SA, BZ WBK (including former Kredyt Bank), PKO BP (including former Nordea Bank), the mBank Group and Raiffeisen Polbank, is made by bank transfer with the D+2 transfer date. This is the cheapest transfer, where funds ordered to be sent on a given business day by 3 p.m., e.g. on Monday, should be credited to the recipient’s account by the end of the second day after sending, i.e. on Wednesday. The withdrawal of EUR currency outside the banks integrated with XKantor.com: Alior Bank (including former BPH SA), PEKAO SA, BZ WBK (including former Kredyt Bank), PKO BP (including former Nordea Bank), the mBank Group and Raiffeisen Polbank is processed by transfer with the D+1 transfer date, which in practice means that the transfer sent on a given business day should be credited to the recipient’s account on the next day. Which banks are supported by XKANTOR.COM? XKantor.com automatically supports all domestic and foreign banks. In addition, the following banks: Alior Bank (including former BPH SA), BZ WBK (former Kredyt Bank), PKO BP (former Norede Bank), PEKAO SA, the mBank Group (BRE Bank, mBank, MultiBank) and Raiffeisen Polbank are integrated into the platform, which enables quick and free deposits and withdrawals to be made within the accounts held with these banks. Automatic international transfers are made through individual entry of foreign bank account numbers and information concerning a given account, and once approved, accounts for international withdrawals are later handled automatically, without the need to re-enter information. Note: The time of processing transfers within the mBank Group (BRE Bank, mBank, MultiBank) is longer and often ranges from several hours to the full business day. There are fees for bank transfers when using an account with the mBank Group (BRE Bank, mBank, MultiBank): PLN 5 for the EUR currency and PLN 10 for CHF, USD and GBP currencies. XKantor.com currently supports the 6 most popular currencies which are the most important in today’s market: EUR, GBP, CHF, USD, RUB and PLN. These are currencies used by entrepreneurs, borrowers, people working abroad and travel enthusiasts. You can exchange your currency 24 hours a day, 7 days a week. What is the fastest way to deposit and withdraw money? The fastest deposits and withdrawals are made by banks integrated with the XKantor.com platform, i.e. : BZ WBK (including former Kredyt Bank), PEKAO SA, PKO BP (including former Nordea Bank), current mBank (in a group of former BRE BANK and Multi Bank), Alior Bank (including former BPH SA) and Raiffeisen Polbank. Transfers to accounts within the above-mentioned banks take about 30 minutes. For the clients of the platform, both business and individual, we have also prepared an exceptionally practical offer: express EUR withdrawals in the Target Express system, which has a worldwide reach (to all banks in Poland and abroad). In the Target Express system, a transfer of EUR from XKantor.com to any account lasts only up to several dozen minutes. Regarding the costs of an express transfer, we invite you to read the answer to the question: How much does it cost to send a currency in the express mode? Can I exchange money on non-working days? Of course, XKantor.com is at your disposal 24 hours a day, 7 days a week. Transactions and operations can therefore also be carried out at weekends and on holidays. At the same time, we would like to inform you that you can make payments and withdrawals on bank holidays only using BZ WBK and PKO BP. If you make a payment on Saturday or Sunday from BZ WBK Bank (formerly Kredyt Bank) or PKO BP Bank (formerly Nordea Bank), the transfer will be credited to XKantor.com in just a few dozen minutes. You can place a currency exchange order immediately after money has been transferred to your wallet. If you want a quick currency exchange, please choose the best exchange rate available. Other banks integrated with XKantor.com: Alior Bank (former BPH SA), PEKAO SA, mBank Group (BRE Bank, mBank, MiltiBank) and Raiffeisen Polbank enable making quick deposits and withdrawals only on working days, as they process transfers with the D+1 transfer date. In practice, this means that a withdrawal order made at weekend or on a holiday from banks other than BZ WBK (former Kredyt Bank) and PKO BP (former Nordea Bank) will be classified on the next working day. Is it safe to exchange money on XKANTOR.COM? XKantor.com is a technologically advanced, modern and secure platform enabling currency exchange via the Internet. Services are provided in accordance with the Code of Financial Market Good Practice recommended by the Polish Financial Supervision Authority (KNF). Transaction security is ensured by SSL encryption and SMS authentication. XKantor.com is recommended by recognized organizations and institutions. Buying e.g. 10,000 euros you can save even several thousand zlotys. Will I receive an invoice for the services? Proof of your transaction will be available electronically in the form of a VAT invoice as a PDF file for download and printing. To access an invoice, log in to XKantor.com and go to the “History” tab. Your invoices are stored there in the “Invoices and fees” tab. VAT invoices are generated with each new month for the previous month in an aggregate form by the 1st of each month. Every User receives an invoice, not only a business user. The document contains data saved by you during the registration process. In order to facilitate your tax settlement, invoices relating to transactions in foreign currencies are immediately converted into PLN at the average exchange rate of the National Bank of Poland on the previous business day, in accordance with the provisions of Article 30(2) of the Accounting Act. How do I deposit funds into my wallet at XKANTOR.COM? You must first log in to XKantor.com. Then, in the “My wallet” menu, select the “Deposit to wallet” tab, where you can indicate the currency you want to deposit in your account and the bank from which you want to transfer money. The options are legible and intuitive to use. You make a deposit from your bank account into a selected XKantor.com bank account choosing from among those in the right-hand column, where the account must correspond to the currency you want to deposit, so if, for example, a deposit is made in EUR, it should be ordered to an account held in EUR. The title of the transfer is individual for each User and is generated automatically. The deposit made by you is visible in your profile at XKantor.com as current funds. The time when it will appear at XKantor.com depends on the booking time in the bank. Important: Correct title of the transfer allows for quick and automatic identification of user funds. 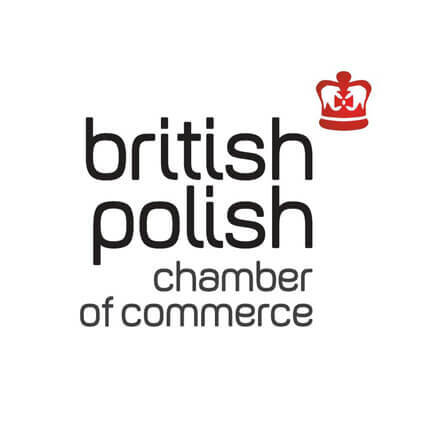 The British-Polish Chamber of Commerce is following the development of Polish FinTech companies with great interest. We support the development of modern financial services aimed at companies planning international expansion. We believe that exporters using the XKANTOR.COM service will gain access to financial solutions and technologies that will improve their competitiveness. MZP LEWIATAN is very pleased with the development of modern financial services for business. The offer of XKANTOR.COM fits in with the creation of an entrepreneur-friendly environment and meets the needs of the 21st-century company. We strongly recommend the currency exchange solutions offered by XKANTOR.COM. On the XKANTOR.COM platform you can sell or buy currency cheaply, quickly and safely. We encourage everyone to support startups from the ecosystem of Academic Entrepreneurship Incubators and Business Link. The International Innovation Center Foundation strongly recommends XKANTOR.COM as a place for convenient and safe currency exchange on the Internet. 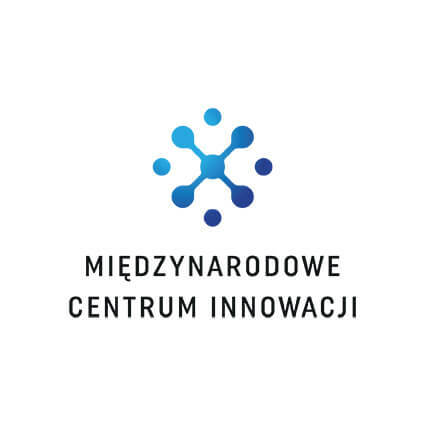 We are very pleased that XKANTOR.COM took patronage over our organization and supports the export activity of Polish entrepreneurs by offering innovative financial solutions. The reliability of the online currency exchange trading platform provided by Payholding is confirmed by the certificates, awards and opinions of satisfied customers. Create an account today and benefit from the best exchange rates. © XKANTOR.COM is a convenient and fast online currency exchange available 24/7. The same security as in online banking. Commissions are even several times lower than those offered by banks and additional benefits are offered by service partners. As FinTech, we focus on innovation, which is why we are able to provide solutions that meet the needs of today’s business.